In 1912, then-Tokyo Mayor Yukio Ozaki donated cherry trees to various cities in the U.S. to mark the friendship between the United States and Japan. Thirty-four trees were planted in UW’s Arboretum. Their yearly blooming draws thousands of people from across the state to this day. 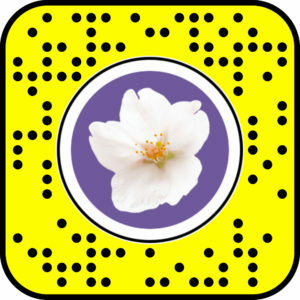 To celebrate this event, we created filters for both Snapchat and Facebook that users could share with their friends and also help to promote this spectacular vista. Snapchat utilized 3D and particle effects, while Facebook used pre-rendered footage created in After Effects. While being created in different programs, both concepts were able to achieve very similar on-brand effects. 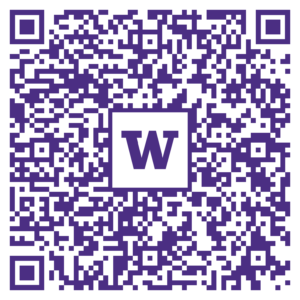 QR codes were then placed on signage around campus to help spread the word and promote the event. 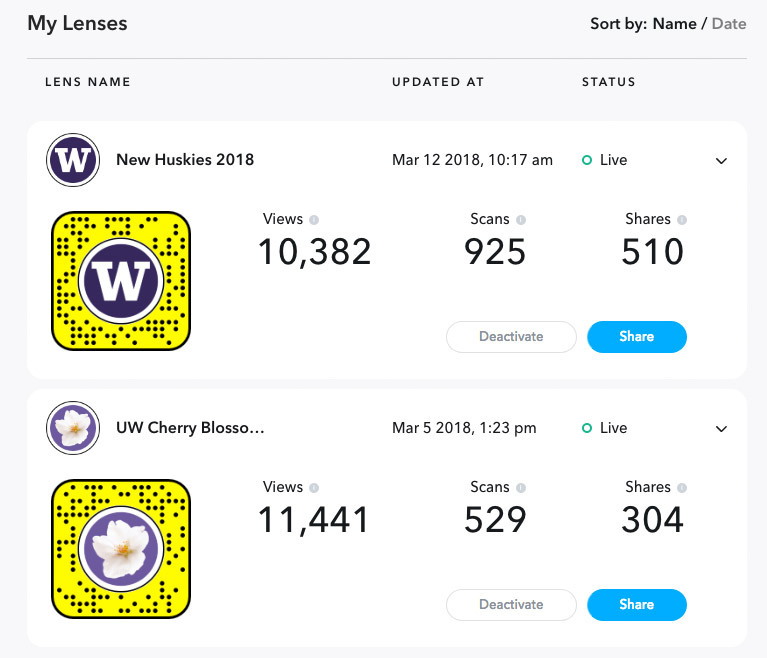 Both the facebook and Snapchat lenses were very well received and generated great numbers in their first week of reception. 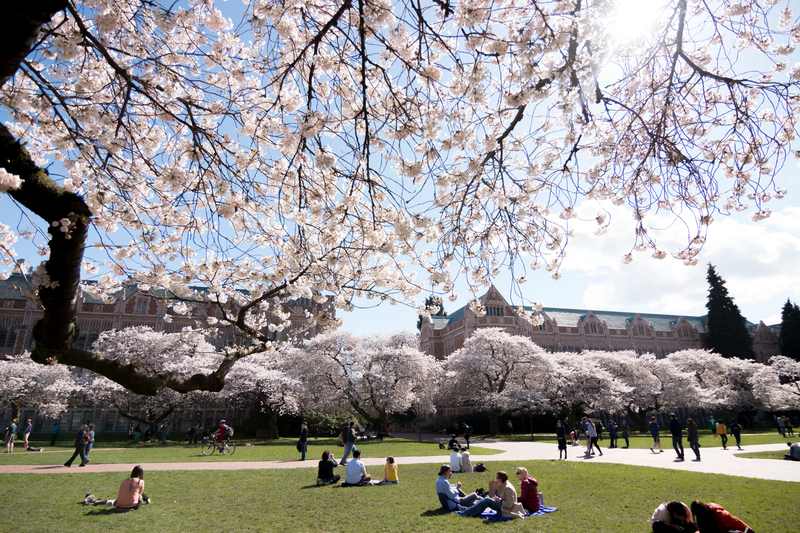 With over 10,000 views and 500+ shares, we were able to bring the joy and experience of UW’s cherry blossoms to people not only in Washington, but around the world.